Day one of the Champagne study trip initiated a discussion which continued throughout the week of factors impacting aromas and flavors in champagne. Broadly, aromas can be categorized into the impacts of grape variety, terroir, vinification, and post-production events (influencing individual bottles versus entire “batches”). Chardonnay is a blank canvas, yet consumers and professionals like tend to think of it in one form: a still dry, oaked wine. From bubbles to still wines to blended wines to late harvest and even ice wines, Chardonnay is incredibly malleable. Winemakers can make any of dozens of choices along the road in order determine the final style of the wine. If you can't come up with more than 2-3, tune in to this webinar! 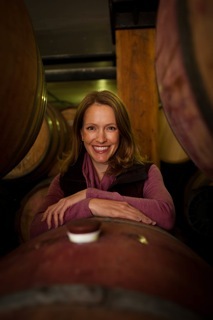 Christy Canterbury is a Master of Wine, wine buyer, writer and educator who lives in Manhattan. Christy has bought wine as the National Wine Director for Smith & Wollensky Restaurant Group and as the Corporate Beverage Director for Culinary Concepts by Jean-Georges, where she opened and managed restaurants from Istanbul and Doha to Vancouver and Bora Bora. She was also the Wine Acquisitions Director for Italian Wine Merchants, a high-end retail concept catering to wine collectors. Christy currently divides her time between many activities. She is a judge for the Ultimate Wine Challenge and the Dallas Morning News/TEXSOM Wine Competition; a contributing taster at vitis.com; an educator at Astor Center and San Francisco Wine Center; a panelist for Wine Enthusiast, TASTED and Wine & Spirits magazines; the Wine Editor for the Garrubbo Guide and the Italy Wine Editor for the Professional Wine Reference.